Born on a peninsula, nestled at the junction of the Mekong and Khan Rivers, Luang Prabang is a magical place. Dozens of temples, whose monks and novices inhabit the town and surrounds, provide and a peaceful and unusual ambience. This combined with the natural beauty, makes it an ideal getaway from busy modern city life. Running will be the reason to come, but you will have time to explore and so here are some useful sites that can help plan your trip. 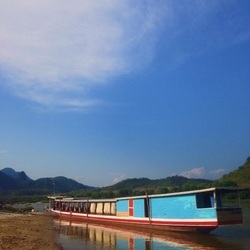 Want to explore Luang Prabang? Khiri Travel Laos, LPHM official sponsor, is a specialised travel company focusing on sustainable and experience based activities in Laos. Khiri prides itself in authentic connections, adaptability, and innovation and offers intimate, personalized travel experiences. Khiri caters to any desire at any budget, from Family Travel and Regional Highlights to Community-based Tourism and Discovery Excursions (and everything in between).